We apologize for the technical difficulties you may have experienced when accessing this web-site in the last four hours. Our web-site was accidentally deleted around 10:30 pm and we have worked hard to restore our site ASAP. Unfortunately, all previous posts were lost but we did our best to recreate what we could from memory. We will continue to update our web-site in the next few days. 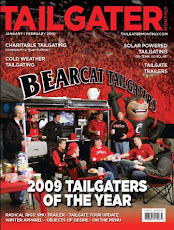 Thanks for your patience and thanks for visiting www.bearcattailgater.com.